The third instalment of the Near & Far family will be taking the Palm Springs concept to the next level with a new flagship site, offering a Californian oasis slap-bang in the middle of Camden, opposite The Stables and iconic music venue Roundhouse. The newest Near & Far will be set over four floors holding 180 guests, offering a lounge area, two bars and a stunning covered roof terrace with views over the market and beyond. The cocktail menu is inspired by world travels while the kitchen will serve mouth watering Mexican street food served daily by Elote, one of London’s top pop-up kitchens. Pastel hues, lush greens, desert shades, palm trees and cacti will fill the interior with the terrace open all year round offering a relaxing haven for party goers! 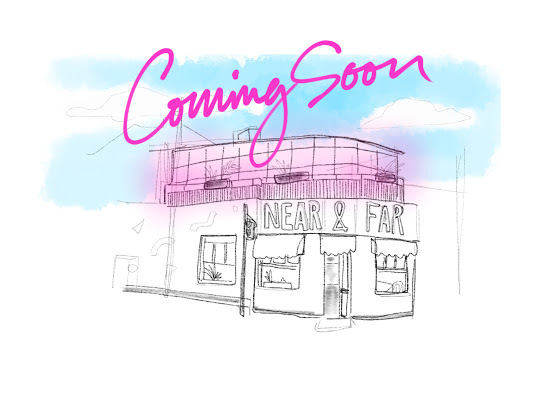 Near & Far will be collaborating with Elote who will be taking over the kitchen, offering high-end Mexican street food. Elote is the creation of Alex Hutton, formerly the Head Chef of Caravan in Kings Cross and the OXO Tower. ‘Elote’ is a traditional corn based street food found across Southern Mexico and is one of the key items on the menu, alongside mouth watering dishes such as Tamarind Dressed Crab Tostados and Braised Beef & Chipotle Tacos. The menu features a wide range of veggie and vegan options (the Chickpea Chips with Chipotle Mayo is something special) and best of all, everything on the menu is gluten free! The new cocktail menu will feature some favourites from the Peckham and Angel sites, along with a number of exclusive signature creations. As always, expect creative cocktail names such as The Benedict Cucumberbatch (gin, elderflower and of course, cucumber) and the Emergency Brexit (a Near & Far play on a classic Negroni). 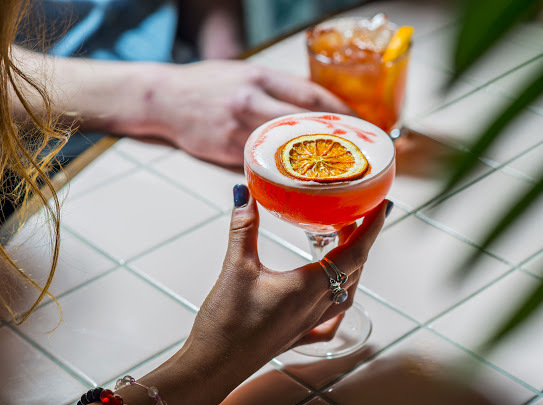 The menu will also offer an excellent selection of non-alcoholic tipples from mocktails to booze-free pale ales, ensuring there is something for everyone. The venue will be open 7 days a week with a late licence until 2am Thursdays to Saturdays, making it a perfect weekend party destination. The lineup will include DJs playing the brand’s signature style of Latin and Balearic house and laid back disco. The name for Near & Far comes from the Cockney Rhyming Slang for ‘bar’ and ‘car’ and was inspired by the group’s first venue which is literally a bar in an old multi storey car park. 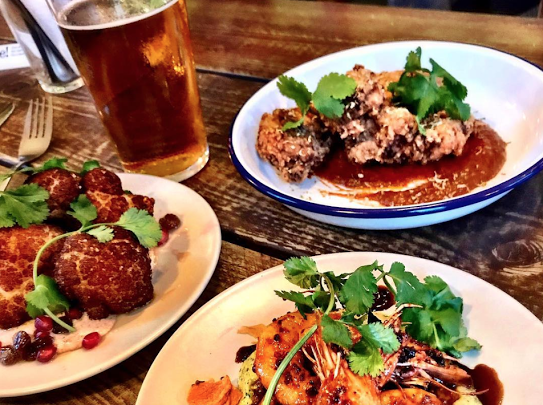 Over the last couple of years, Camden market has seen a major overhaul and has seen many leading food and drink operators move into the new-look Stables. Its once again becoming a top destination for those seeking excellent dining and nightlife experiences and Near & Far is set to become one of it’s most sought after and Instagrammable locations.